Senior Associate for Knowledge and Communications Gayle Gatchalian blogged for Huffington Post Impact on the progress made on women’s financial inclusion since 1995, the year of the Beijing Declaration and Platform for action, the most progressive blueprint ever for advancing women’s rights. And it was in the Beijing Declaration that the importance of women’s economic importance was recognized for the first time: a full third of the framework’s recommendations dealt with women’s economic participation. 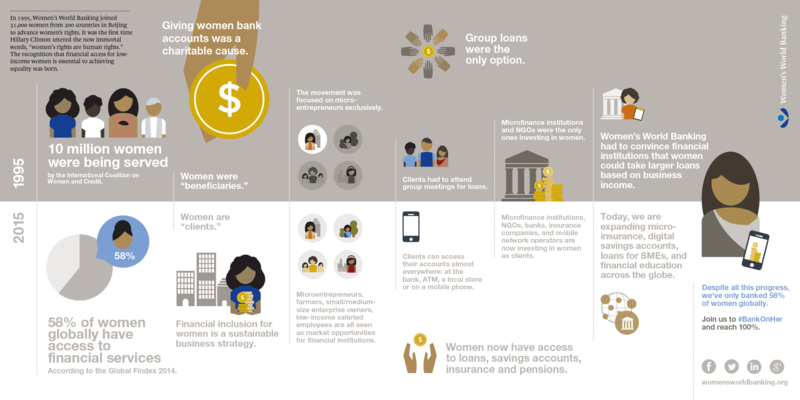 It was the beginning of truly mobilizing the world’s financial leaders to build systems that serve the majority of the population — women.